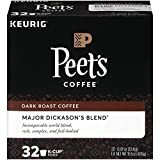 Peet's Brewed coffee is available in different roasts and varieties which changes often. Lighter roasts will yield slightly higher caffeine amounts and the number above reflects the average amount of caffeine you would expect in their medium sized brewed coffee. 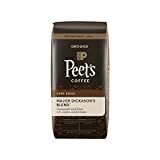 Peet's brews their coffee every 30 minutes and they also offer togo boxes of the brewed coffee to take to meetings, functions, work, etc. 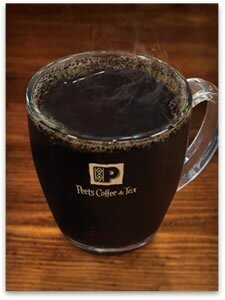 Besides brewed coffee, Peet's offers a full line of espresso based beverages and well as teas. How does Peet's compare to Starbucks? 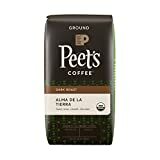 How Does Peet's Brewed Coffee Compare? 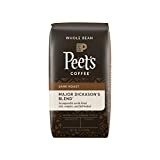 Peet's Brewed Coffee contains 16.69 mgs of caffeine per fluid ounce (56.43mg/100 ml).